First of all, it is common knowledge in physics that there is no such thing as cold air, there is only the movement or transfer of heat or the lack of heat. The transfer of heat is the movement of heat from a relatively hot object to an object that has less heat. This means when you grab a cube of ice or a cold drink, the heat from your hand transfers to the colder object, you are not actually absorbing the 'cold' but relinquishing your heat. This means that heat is transferring out of your warm hand to the colder ice cube or drink which gives you the feeling of being cold. Why tiles feel cooler than carpet is not as simple as just ceramic and porcelain tile thermal properties, but also a materials density. As an example, if you had two materials of equal size in the same room temperature and then increased the temperature from 20 degrees to 30 degrees, the material that is denser of the two will need to absorb more heat energy to reach the desired temperature. Density of the material can be easily explained by comparing tiles to the fibers material of carpet. When you step on carpet fibers, which are not particularly dense, the air and fibers of the carpet will heat up relatively quickly without drawing much heat energy away from your body. Carpet is a poor conductor, the heat in the fibers of carpet is not conducted away to other parts of the carpet because it is less dense and that is why carpet feels warmer than a tile. Carpet is not especially warm, rather the fibers that make up the carpet material that you come into contact with have rapidly absorbed heat from your foot and retained that heat. This makes carpet a poor conductor and insulator. Essentially, your sense of whether an object is hot or cold depends on the direction of heat flow between it and your skin. An easy way to demonstrate this is by dipping one of your hands into warm water and the other into cold water. If you then dip both hands immediately into room temperature water, your warm hand will tell you that the water is cool, whereas your cold hand will trick you into believing that the water is warm. So when heat flows from your body to any other object (such as the floor), that object feels cold. And conversely, when heat flows from any object into your body, that object feels warm. And if that object is a good conductor of heat, then it will transfer heat to your relatively cold body quicker than a poor conductor at the same temperature. And this is where tiles really come into their own when it comes to heating! A heated tile floor will transfer heat to you much quicker - and actually feel much hotter – than a heated carpet or wood floor. 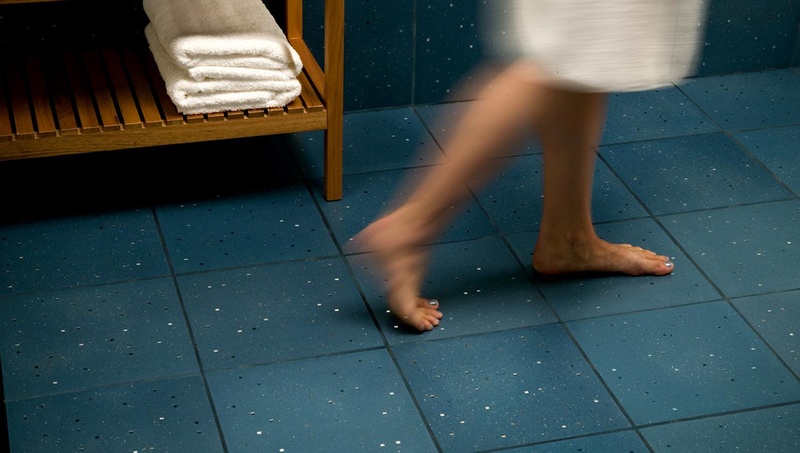 A heated tile can conduct heat into your feet very rapidly – just as rapidly as a cold tile can conduct heat away from your feet. And it’s for this reason that of all flooring materials, tile is the very best material to use with under-floor heating, a topic we’ll cover in our next article. Tile is denser and transmits heat far more effectively than other common flooring materials such as carpet, wood, laminate, and vinyl. For this reason tile is often said to be ‘colder’ than these types of flooring. However the reality is that tile is no colder than any other material in the room. It simply feels colder when the floor is cold as it conducts more heat energy out of your feet at a faster rate than other flooring material. Conversely, if you have a well heated floor (and let’s be honest who doesn’t want one of those in their lives), then there’s no better material than tile to convey that snug, comfy feeling of warmth into your body. So let’s kill the fallacy here and now – tile is not cold, cold floors are cold. 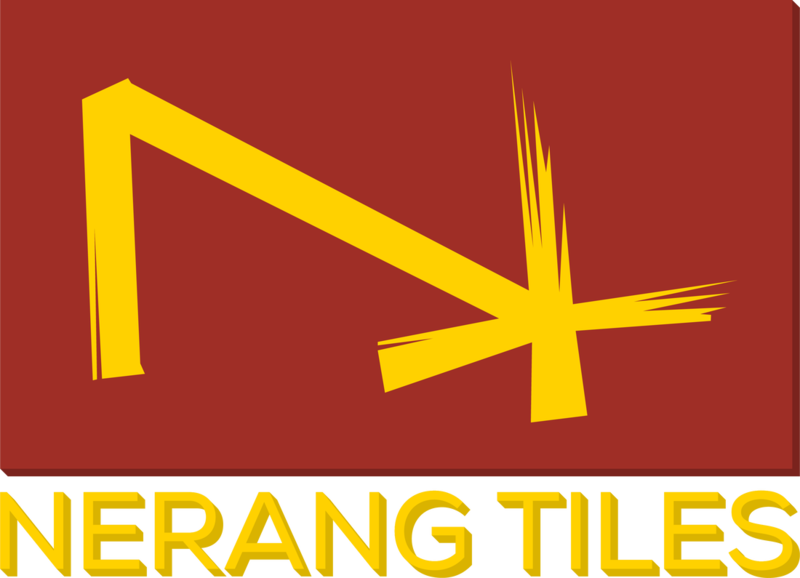 Nerang TIles is a one stop shop with one of the largest floor tile and wall tile showrooms in Australia. Nerang Tiles stock a vast array of ceramic and porcelain floor tiles and wall tiles in a range of different colours, texures, sizes and finishes to suit all residential and commercial applications. Visit the Nerang Tiles Gold Coast Tile Showroom today to see the full range of floor tiles and wall tiles and receive expert advice and exclusive in store tile discounts.